to the entire height of the gingiva. 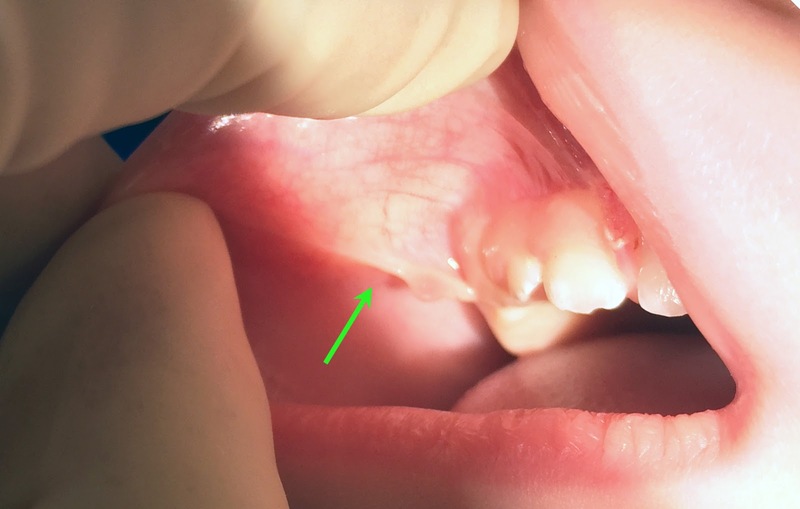 Buccal ties are perhaps the least well-known and most uncommon condition among the tethered oral tissues that can affect infant breastfeeding. The other more common types being tongue ties and upper lip ties. 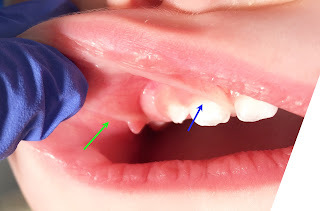 Buccal ties are abnormal mucosal tethers extending from the cheeks to the gingiva. This situation is in contrast to the upper lip ties which are mucosal tethers extending from the midline upper lip to the gingiva and tongues ties which extend from the midline tongue to the gingiva and floor of of mouth. The vast majority of buccal ties are small without any medical significance and can be safely ignored. However in very rare situations, buccal ties can be quite severe and impede good latch with breastfeeding. Furthermore when smiling, severe buccal ties can cause discomfort as the cheek lifts and pulls away from the gingiva. Later in life as dentition appears, it may cause food entrapment leading to risk of gingivitis and cavities. Fortunately, buccal tie releases are straightforward to perform and similar to the way tongue tie and upper lip tie releases are performed. Scissors, electrocautery, or laser can be used to perform the actual release with pros/cons to each method which may depend on the practitioner (our clinic utilizes all these different methods). Just as with upper lip ties, stretching exercises are required to prevent reattachment.